A Day Late and A Dollar Short: More Information on Broadway in Atlanta's Partnership with Everybody Wins! More Information on Broadway in Atlanta's Partnership with Everybody Wins! Broadway in Atlanta teams up with Everybody Wins! In honor of the enchanting return of “Disney’s Beauty and the Beast” to Atlanta’s Fox Theatre, Fifth Third Bank Broadway in Atlanta is hosting a book drive to benefit Everybody Wins!, a local nonprofit dedicated to furthering education and improving literacy for underprivileged children. 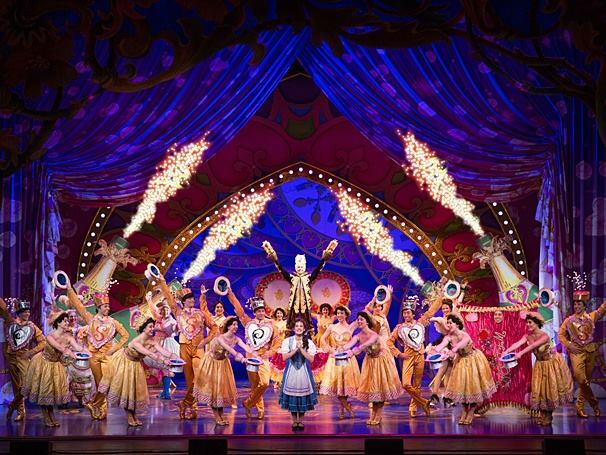 “Donate a book for Belle” will take place during the limited engagement of “Disney’s Beauty and the Beast” as part of the 2015/2016 35th anniversary Broadway in Atlanta season at the Fox Theatre, February 2 – 7. Throughout the week, patrons can drop new and gently used books in the donation bin located near the Broadway in Atlanta display table. 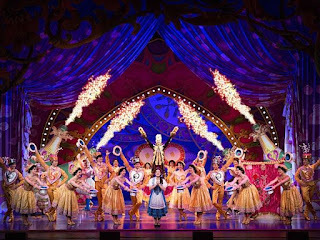 Tuesday - Thursday 7:30 p.m.
HOW: Tickets for “Disney’s Beauty and the Beast” start at $33.50 and are available at by visiting www.FoxTheatre.org/Beauty, calling 1-855-285-8499 or visiting the Fox Theatre Box Office. For more information, please visit www.everybodywinsatlanta.org or www.broadwayinatlanta.com. For 19 years, Everybody Wins! Atlanta has devoted itself to improving children's literacy and developing the reading skills of students in low-income elementary schools through shared reading experiences. Through their Power Lunch program mentors from local businesses and community partners are paired with students identified as reading below their grade level. Pairs meet once each week during the student's lunchtime for the entire school year. They program effectively impacts at-risk students in reading comprehension, motivation and achievement, as well as overall academic performance, classroom behavior, self-confidence and social skill. Based on the 1991 Academy Award®-winning animated feature film and celebrating 21 years since its Broadway premiere in 1994, Disney’s Beauty and the Beast is the ninth longest running musical in Broadway history that has become an international sensation seen by over 35 million people worldwide in 22 countries, and translated into 9 different languages. This production launched in February 2010 and has been seen nearly 3 million people while playing over 1,500 performances in all 50 United States and 8 Canadian Provinces. Currently, there are five productions playing around the world including the North American Tour, Paris, tours in Japan and Germany, and a new international tour (inspired by the North American tour) that will visit over 14 countries in two years.